Simon graduated from Southampton University in 2000 with a BA in Geography. In 2001 he obtained a Postgraduate Diploma in Law and then completed his Legal Practice course in 2003. 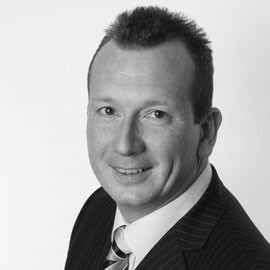 Simon trained at a well established Buckinghamshire law firm and was admitted as a solicitor in 2004. Simon was made Head of Residential Conveyancing in 2005 and as a recognition of his success was promoted to Partner in 2006. Simon co-founded Archer Rusby in 2008. Simon specialises in residential property and property development work and heads Archer Rusby’s residential conveyancing team. He is married and lives locally with his wife and young family. Michele worked for 14 years as a croupier in two of London's top Mayfair casinos, during which time she studied law. Michele graduated from Brunel University and completed her academic stage of training at the College of Law, London before joining a Thames Valley practice as a trainee solicitor and qualifying in 2001. 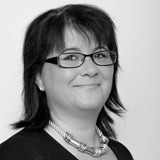 In 2003 Michele moved to a leading Buckinghamshire firm and was made a partner in November 2006. 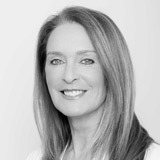 Michele is a co-founder of Archer Rusby and specialises in all aspects of Commercial and Residential Property and Business Sales and Purchases. Michele is divorced and lives in Chalfont St Peter with her daughter and two dogs. Outside of work Michele is kept fully occupied doing her other jobs; being a mum, a cleaner and a taxi driver! Sarah joined Archer Rusby in January 2013. She qualified as a Solicitor in 2006. 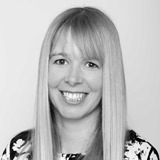 Sarah has a wealth of experience in Private Client work and Commercial Property. Sarah's Private Client work includes drafting Wills, administering estates and trusts, acting as Executor and Trustee in estates, Powers of Attorneys and advising on tax planning. Sarah also acts for Clients in a range of commercial property matters, including Landlord and Tenant, sale and purchase of freehold and leasehold properties, advising on the purchasing and the sale of businesses. Away from the office Sarah’s hobbies are running, working out at the gym, reading and socialising. Richard has worked in the residential property market for over 18 years and specialises in all aspects of the conveyancing process. He is familiar with all types of property including freehold properties, leasehold properties and new build properties. He has advised on properties sold and bought at auction and has dealt with purchases, sales, remortgages, transfers subject to a mortgage as well as with property transactions upon death and matrimonial breakdown. He deals with clients in an efficient and professional manner. 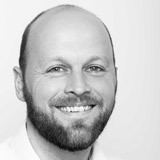 Richard can assist you through the process of all residential property transactions from start to finish. Communication is key in such transactions and he will liaise with the all parties on the transaction, from the client and estate agent to the financial advisor or mortgage broker and the mortgage lender, in order to ensure an efficient service to meet the client's needs and requirements. He enjoys working in the residential property team, knowing that property transactions represent some of the most important, stressful and emotive decisions an individual can make in their life time. His experience will ensure that appropriate decisions are made at the right time, and sensible advice is given to you at all times. Richard qualified as a solicitor in 1998. He is a keen sportsman and enjoys all sports including rugby, golf, football and cricket . Richard qualified initially in New Zealand and subsequently was admitted as a solicitor in England in 1986. 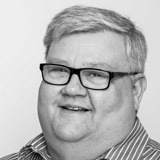 Richard worked for a number of years at an Uxbridge firm running the Residential Conveyancing Department before moving to a Rickmansworth firm prior to joining Archer Rusby in 2010. Richard has lived in Rickmansworth for 25 years and so has excellent local knowledge and contacts. Away from the office Richard's interests include all sports, music and theatre, and he supports New Zealand and England (sometimes!). Michelle qualified as a Licensed Conveyancer and Commissioner of Oaths in 2009 whilst working and heading up the Residential Conveyancing Department at Turbervilles Solicitors in Uxbridge. Michelle joined Archer Rusby Solicitors in November 2011 and has established herself within the community by building up a great rapport with the local agents and mortgage brokers. Michelle will look after your sale and purchases both leasehold and freehold, new build transactions, remortgages, transfers of equity, equity release schemes, Help to Buy, Right to Buy and park home sales and purchases. Michelle prides herself on offering her Clients a friendly and professional service. Michelle is married with 2 children and lives locally. She enjoys cooking and cocktails and she even dares to admit she is a horror film and tv soap addict.